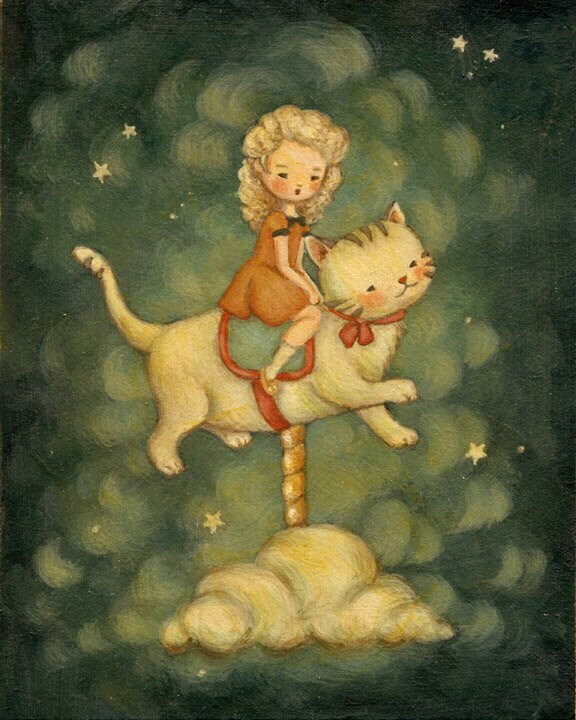 Come along on a magical ride and join this little cutie and her kitty as they trot softly through the night. Babies and young children, cat lovers, carousel enthusiasts, nurseries and children's rooms with a circus / fair theme, vintage inspired playrooms, and for any room you want to add a whimsical, playful touch to. This borderless print is reproduced from a painting by me. It is available in both 5x7 or 6x8 inch., and will feel right at home in any standard 5x7 or 6x8 inch frame or matte.